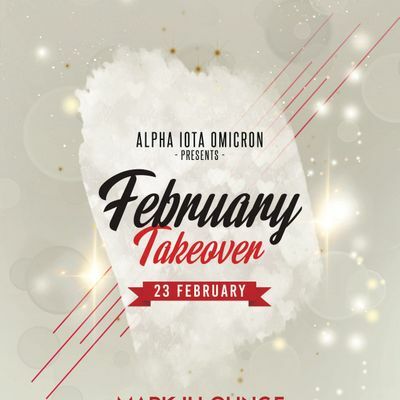 The brothers of Alpha Iota Omicron Chicago would like to officially invite you to AIO Takeover. 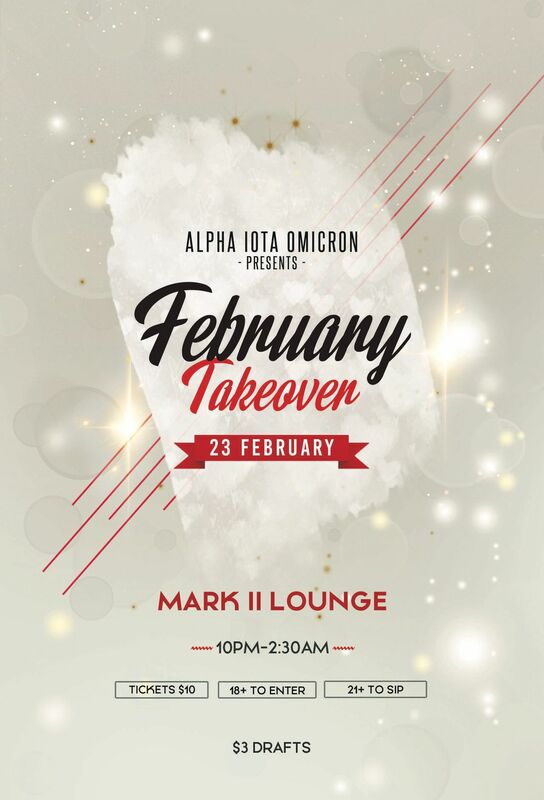 Party with us at the Mark II Lounge and get a jump start on your Spring Break activities. If you didn't manage to find a Valentine, don't sweat it. Just be prepared to bring your single and ready to mingle attitude. Buy your tickets and kick off the rest of the semester with the Wolfpack!